This is the story of the pious, mystic, Faqhi, intellectual and ascetic, Salman the Persian . He grew up in the town of Isfahan in Persia, in the village of Jayyan. His father was the Dihqan (chief) of the village. He was the richest person there and had the biggest house.His father loved him, more than he loved any other. As time went by, his love for Salman became so strong and overpowering that he feared to lose him or have anything happen to him. So he kept him at home, a virtual prisoner, in the same way that young girls were kept. Salman became devoted to the Magian religion, so much so that he attained the position of custodian of the fire, which they worshipped. His duty was to see that the flames of the fire remained burning and that it did not go out for a single hour, day or night. Salman’s father had a vast estate, which yielded an abundant supply of crops. He himself looked after the estate and gathered harvest. One day as he went about his duties as Dihqan of the village, he said to Salman, ‘My son, as you see, I am too busy to go out to the estate now. Go and look after matters there for me today. On the way to the estate, Salman passed a Christian church and heard voices raised in prayer, which attracted his attention. He did not know anything about Christianity or, for that matter, about the followers of any other religion. His father had kept him in the house away from people. When he heard the voices of the Christians, he entered the church to see what they were doing. He was impressed by their manner of praying and felt drawn to their religion. He said, ‘This religion is better than ours. I shall not leave them until the sunsets.’ Salman’s inclination to ChristianitySalman asked and was told that the Christian religion originated in Syria. He did not go to his father’s estate that day and at night, he returned home. His father met him and asked where he had been. Salman told him about his meeting with the Christians and how he was impressed by their religion. His father was dismayed and said: ‘My son, their is nothing good in that religion. Your religion and the religion of your forefathers is better.” ‘No, their religion is better than ours,’ he insisted. His father became upset and afraid that Salman would leave their religion. So he kept Salman locked up in the house and shackled his feet. Salman managed to send a message to the Christians, asking them to inform him of any caravans going to Syria. Before long they contacted him with the information he wanted. He broke the fetters and escaped his father’s estate to join the caravan to Syria. When he reached Syria, he asked regarding the leading person in the Christian religion and was directed to the bishop of the church. He went up to him and said: ‘I want to become a Christian and would like to attach myself to your service, learn from you and pray with you.’ The bishop agreed and Salman entered the church in his service. Salman soon found out, however, that the bishop was corrupt. He would order his followers to give money in charity while holding out the promise of blessings to them. When they gave the bishop anything to spend in the way of Allah, he would hoard it for himself and not give anything to the poor or needy. In this way, he amassed a vast quantity of gold. When the bishop died and the Christians gathered to bury him, Salman told them of his corrupt practices and, at their request, showed them where the bishop had kept their donations. When they saw the large jars filled with gold and silver they said, ‘By Allah, we shall not bury him.’ They nailed him on a cross and threw stones at him. Not long after, the local people appointed another man in place of the first. Salman stayed on, in the service of this person who replaced him. The new bishop was an ascetic who longed for the Hereafter and engaged in worship day and night. Salman was devoted to him and spent much of the time in his company. Before he passed away, Salman said to him, “O so and so Priest! The time has come for you to witness Allah Ta’ala’s decision (meaning death). I swear by Allah, I have never adored anyone as much as I have adored you! So what would you instruct me to do? And who can you recommend for me to see?”He replied, “O son! I do not know of anyone except for a certain man living in the city of Mosul. Go to him, for you will find that he is similar to me.”A short while after he passed away, Salman arrived at Mosul and found the priest he had been sent to, and indeed, he was very much like the one before him in terms of simplicity and striving. After he passed away, Salman was referred to another priest who in turn sent him to a priest in Ammuriyah (Ameria, near Rome) , before his demise. Salman stayed by this Roman priest, and decided to make a living. Eventually hemanaged to acquire some sheep and cows.When his death was near, Salman told him of my story and asked him for his advice just as he had asked those before him. He said: “There is nobody following our ways of life I can send you to. Nevertheless, your life seems to coincide with the era of the predestined Prophet who will arise from the Haram. His migration will be to a city full of date trees. Moreover, he will certainly have some distinct features: Between his shoulder blades, there will be the Seal of the Prophethood. He will eat food, provided it is a gift and not a donation. If you can reach that city, then do so, because you are very close to his era.”Salman’s inclination to the Arabs and IslamA group of Arab leaders from the Kalb tribe passed through Ammuriyah. Salman asked them to take him with them to the land of the Arabs, in return for whatever money he had. They agreed to take him along. When they reached Wadi al-Qura (a place between Syria and Madinah), the Arabs broke their agreement and made him a slave, then sold Salman to a Jew. Salman worked as a servant for him but he eventually sold him to a nephew of his, belonging to the tribe of Banu Qurayzah. This nephew took Salman with him to Yathrib, the city of palm groves, which is how the Christian at Ammuriyah had described it. At that time the Prophet was inviting his people in Makkah to Islam but Salman did not know of this because of the harsh duties slavery imposed upon him. When the Prophet reached Yathrib after his hijrah from Makkah, Salman was on top of a palm tree doing some work. Salman’s master was sitting under the tree. A nephew of Salman’s master came up and said, ‘May Allah declare war on the Aws and the Khazraj (the two main Arab tribes of Yathrib). By Allah, they are now gathering at Quba to meet a man, who has just today, arrived from Makkah and who claims to be Prophet.’ Salman felt light-headed upon hearing these words and began to shiver so violently that he had to climb down, in fear that he may fall. He quickly swung down from the tree and spoke to his master’s nephew. ‘I like to eat from the work of my own hands,’ he replied. Salman however was not extreme in his ascetism. 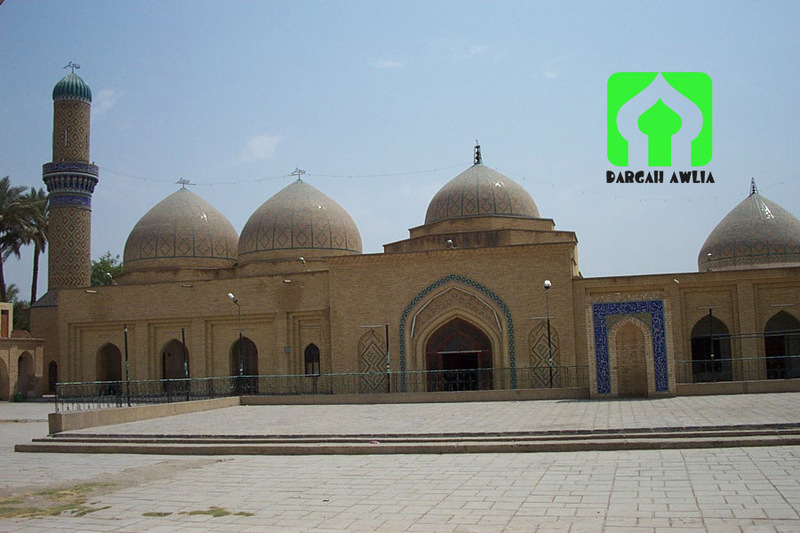 It is related that he visited Abu Dardaa with which the Prophet had joined him in brotherhood. He found Abu Dardaa’s wife in a miserable state and he asked, ‘What is the matter with you.’‘Your brother has no need of anything in this world,’ she replied. Abu Hurraira narrates in another Hadith, that the Prophet once prayed the following verse: ‘As well as others of them, who have not already joined them.’ (Q62:3) The Sahabah asked, ‘O Prophet of Allah , who are these people,’ The Prophet placed his hand on Salman and said, ‘If faith was near the Pleiads, then someone from them would attain it.’ (Bukhari and Muslim) Time bore witness to the realisation of the Prophet words. The progeny of the Persians spread their knowledge and populated the world. ConclusionOnce Abu Sufyan came to Madinah and passed by Salman , Bilal and Sohayb . The three companions said, ‘Have not the swords of Allah beheaded this accursed man yet?’ Abu Bakr upon hearing this said, ‘Do not say such things of the leader of Quraish.’ After that, Abu Bakr went to the Prophet and told him of this conversation. The Prophet said, ‘Have you annoyed these three? If you have, then you have annoyed Allah.’ Abu Bakr made haste to the three companions and asked them whether they took offence on his words. They told him that they had not and further said, ‘O brother, may Allah forgive you.’ The annoyance of Salman is the annoyance of Allah. Even the likes of Abu Bakr fear to offend him. It has come in another Hadith that the Prophet said, ‘Allah has commanded me to love four men, for He too loves them. They are Ali, Abu Dhar, Miqdad and Salman.’It has also come in a Hadith that, ‘Each Prophet had seven helpers and protectors, I was given fourteen. Ali, Hasan and Hussain, Hamzah, Abu Bakr, Umar, Masaab Ibn Ameer, Bilal, Salman, Amar, Abdullah Ibn Masood, Abu Dhar and Miqdad.’ This was Salman Farsi , the Persian who’s quest for the true faith lasted almost all of his 250 years of life. As Muslims and as students, it should be our point of aspiration to achieve at least some of the dedication of Salman Farsi to faith and the gaining of knowledge.